Speaking with reporters, the Turkish Deputy Prime Minister has emphasized that it is impossible to resolve the Syrian crisis militarily. 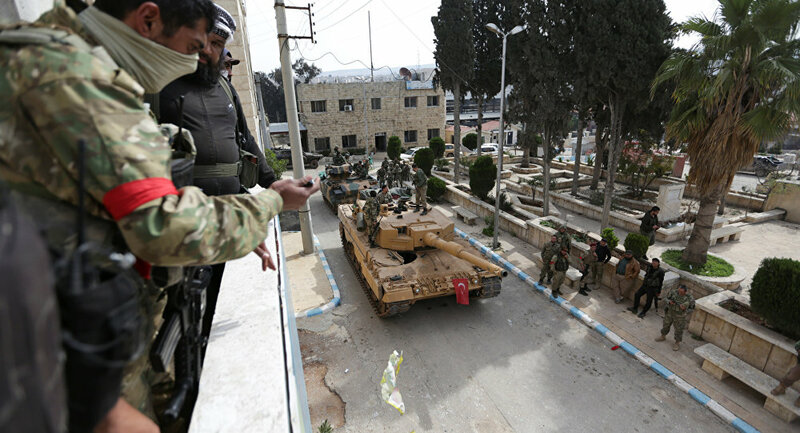 The Turkish army will withdraw from Syria’s Afrin after a political settlement in the country is reached, Turkey’s Deputy Prime Minister Bekir Bozdag said. “We’ve come there not as occupiers and we are not going to stay, respecting Syria’s territorial integrity. We have cleared Afrin of terrorists; our forces continue clearing mines there. There’s a power vacuum in Syria now, there are different forces, the opposition. We will transfer power to local residents in Afrin, who will normalize their lives themselves. For now, it is important to find a political solution to the crisis, and as soon as it is found, we will leave the country,” Bozdag told reporters. Earlier this week, Russian Foreign Minister Sergei Lavrov had expressed hope that Ankara would return Afrin to Syrian government control. “[Turkish] President [Recep Tayyip] Erdogan has never said that Turkey wants to occupy Afrin. We always proceed from the fact that the easiest way to normalize the situation in Afrin now that Turkish representatives say that the main goals they’ve set there have been achieved would be to return the territory under their control to the Syrian government,” Lavrov said. 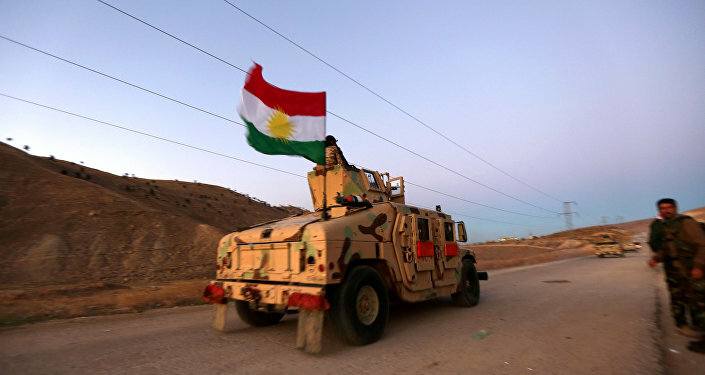 Iraqi Sinjar Risks Turning Into Second Afrin Amid Reported Turkish "Invasion"
Last month, the Turkish Armed Forces had established full control over Afrin, having reportedly cleared the area of terrorists. On January 20, Ankara launched Operation Olive Branch in Syria’s northern district of Afrin in order to clear the border from what it described as “terrorist army.” The military offensive kicked off as a response to the US’ decision to start training a 30,000-strong border security force, Syrian Democratic Forces, largely comprised of the Kurdish People’s Protection Units (YPG) militia, which Ankara believes is affiliated with the Kurdistan Workers’ Party (PKK), listed as a terrorist organization by Turkey. The operation has drawn strong condemnation from Damascus, which has described Ankara’s offensive as a “violation of Syria’s sovereignty.” Turkey, in response, insisted that the Turkish forces targeted only terrorists and were not going to attack government army.